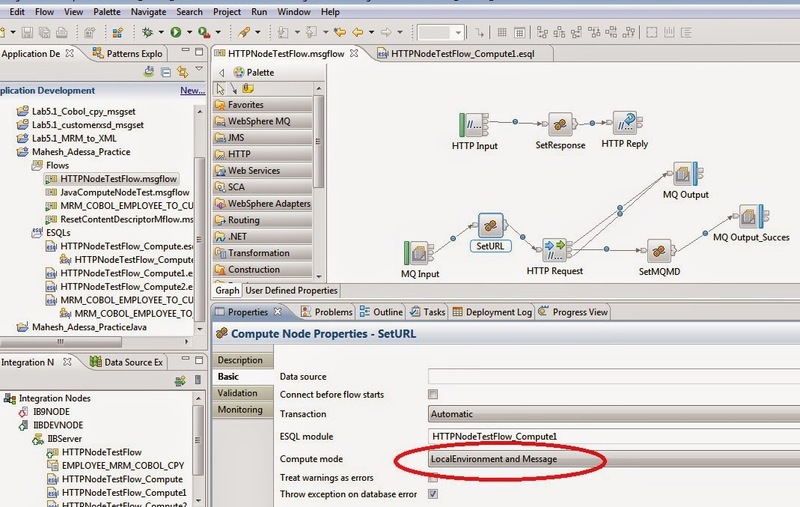 Create a flow with HTTP Input and HTTP Reply Node and deploy into Integration server.Trying to invoke/call the flow with HTTP Request Node. Cause:- Haven’t changed (set to Message)compute mode in compute node. Solution:- Changed compute mode to Local-environment and Message in compute node. Configure/change required port number by using below command,if you want to use other port number.